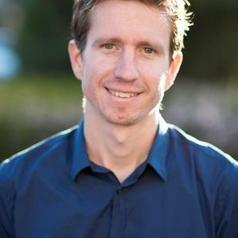 Dr Ross Tapsell researches the media in Indonesia and Malaysia. Upon completion of his PhD, he was a recipient of the Australian Government Endeavour Postdoctorate Award, where he conducted research on the Indonesian media industry. He has been a Visiting Fellow at The University of Indonesia (Jakarta), Airlangga University (Surabaya) and Indiana University (Bloomington, US). He has previously worked with The Jakarta Post and the Lombok Post. Ross began lecturing at the School of Culture, History and Language in 2011. He is involved in the activities of the ANU's Indonesia Project, the Southeast Asia Institute, and the academic news/analysis website New Mandala. Ross is also on the editorial board of the scholarly journal Asiascape: Digital Asia (Brill). As well as scholarly publications, Ross's articles have appeared in The Canberra Times, ABC's The Drum, The Converstaion, Tempo, The Jakarta Post, the Malay Mail and others.